The Lenovo-owned firm’s Moto Mods include such extras as an audio DAC, and attach to the Moto Z2 Play, Z Play, and Z. And now, we have got a new addition to the range. 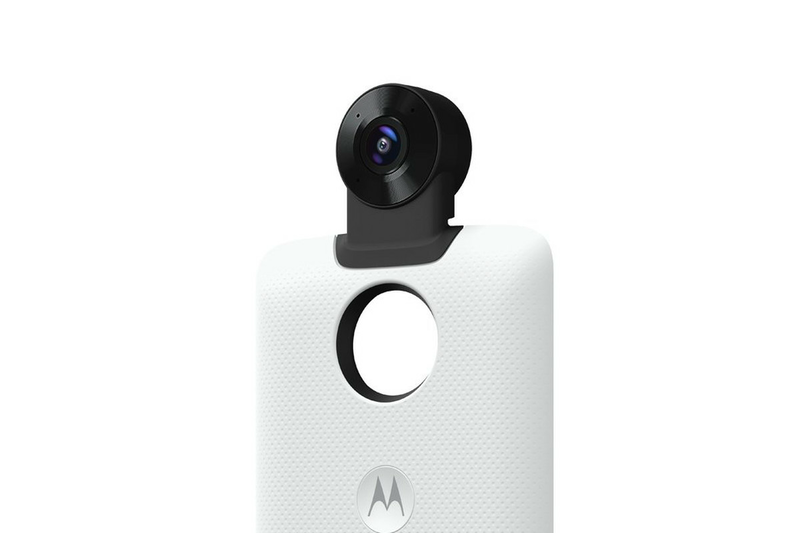 Motorola has revealed new 360-degree camera Moto Mod for the Moto Z Phones. Now, this Moto Mod is available in Ghana, West Africa and compatible for Motorola’s Moto Z phones such as Moto Z, Z Play or Z2 Play. Users can use through company’s modular case system. As you can tell from the name, this is a camera enabling users to take images and videos for a panoramic view. Like all Moto Mods, the accessory attaches to the back of a Moto Z or Moto Z2 handset using magnets and the 16 pins found on the back rear of the phone. The Moto Mod having two camera lenses. It’s placed into the top of a phone shell case. Users can see the latest 360-degree camera Moto Mod from Evan Blass through his Tweet while announcing this Moto Mod. Unfortunately, details are sparse and there’s no word yet on availability or pricing. Other new Moto Mods recently unveiled include the Moto Gamepad, JBL SoundBoost 2, Moto Turbopower pack and the Moto Style Shell with Wireless Charging. Like the newly introduced 360 Camera Moto Mod, these are compatible with all Moto Z and Moto Z2 handsets.